Discussion: Pumpkin Seed oil is a dark green oil pressed from pumpkin seeds. Pumpkin seed oil is a rich source of fatty acids including Omega-6 Linoleic Acid, Omega-9 Oleic Acid and Palmitic Acid. 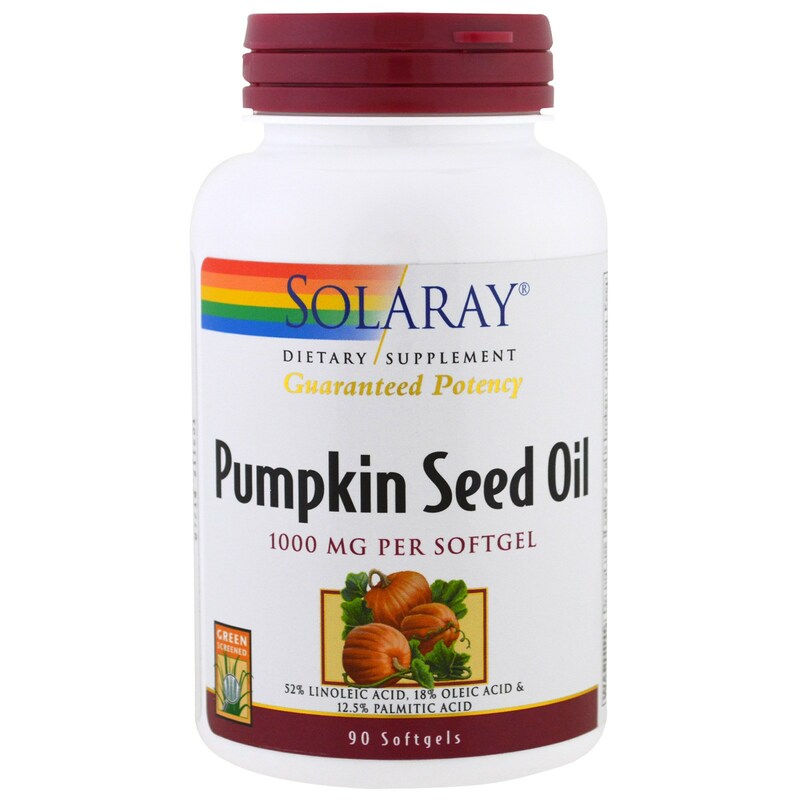 Pumpkin Seed Oil also contains phytosterols, naturally occurring compounds found in plant cell membranes. 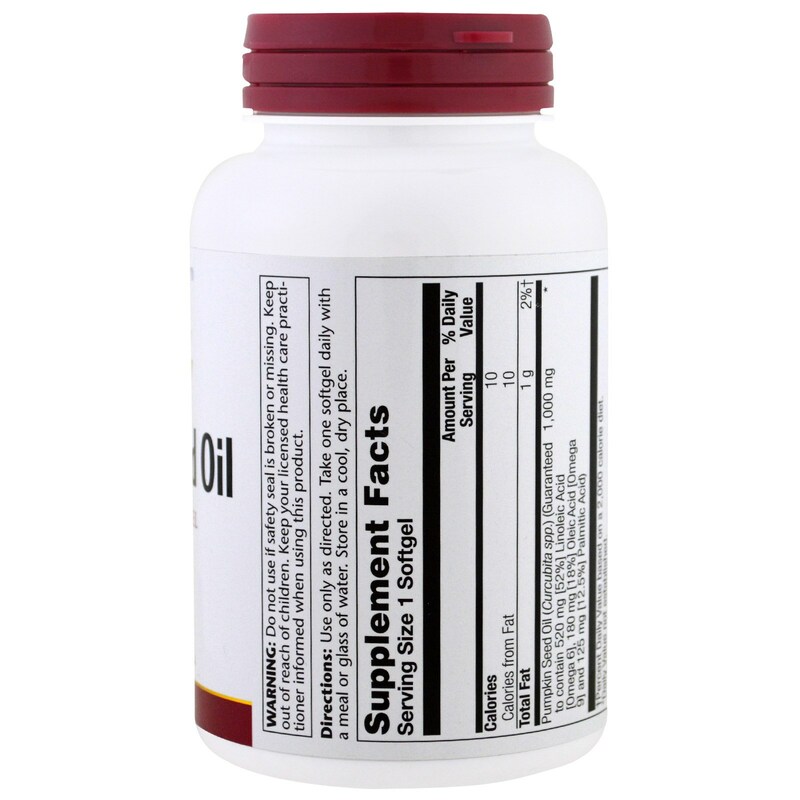 Numerous clinical studies suggest that Pumpkin Seed oil may support healthy cardiovascular and prostate function. Use only as directed. 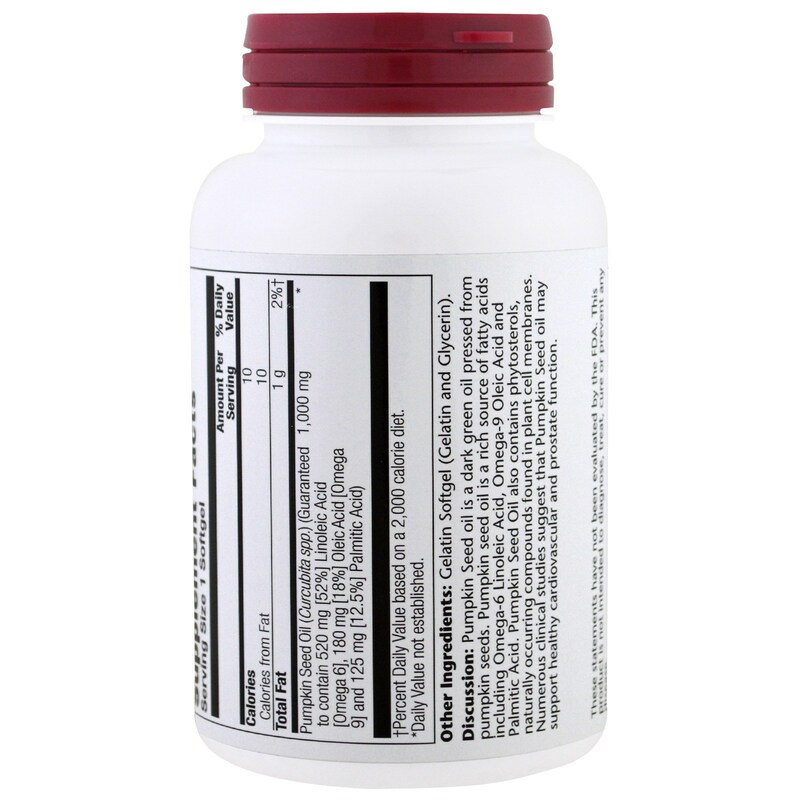 Take one softgel daily with a meal or glass of water. Gelatin softgel (gelatin and glycerin).